A POC is “a realisation of a certain method or idea in order to demonstrate its feasibility. A proof of concept is usually small and may or may not be complete”. it’s a way of testing whether the idea you’ve had is actually going to work. you have an idea for an app development for your organization, service or feature, but you’re not sure whether it’s even possible to achieve from a technical background as well as functional. So Next step should be to create a very minimal, functioning prototype which demonstrates the feasibility of the proposed technology.and based on that organization can get idea about its implementation. to understand a technical risk, such as the performance of a product or its ability to integrate with external systems. to evaluate different technology options for later selection e.g. choice of web server or database,security. to demonstrate how the product might work with a view to informing UX, design and business decisions over its features. you can get clear understanding of the idea , which you gonna implement. If your will go with a proof of concept ,this is a great sign that your project is breaking new ground.It’s far more cost effective to make a prototype than to dive straight into development. Kotlin is a statically-typed, inferred and functional programming language which is developed by “JetBrains” developers in 2011.JetBrains developers are the main team member who invented Kotlin programming language.Kotlin name is kept from Kotlin island which is near in Saint Petersburg, Russia. Kotlin is the combination of multiple languages, for example, something is taken from Scala programming language, something is taken from C++ and something is taken from java etc, and it comes with no limitations. It also runs in Java Virtual Machine and firstly converted in bytecode and etc. One of the main motives of Kotlin is to compile as fast as java.And one of the main reason to invent Kotlin is to overcome java problems. 1) Kotlin setup is very easy, simply a plugin is available in android studio upload plugin and one option showed that is setup configure Kotlin and click and Kotlin configure automatically. 2)Kotlin is concise which means the code of amount is reduce as compare to other languages. 3)Kotlin is safe means Null-Pointer Exception which is the major problem in Java, which is eliminated in Kotlin.In Kotlin you can create two types of a variable (nullable variable and non-null variable), if you want to create null variable then choose a nullable variable and if you want to create non-null value then choose a non-null variable, it gives error msg not a null-pointer exception. 4)Kotlin is Interoperable means you can easily convert Kotlin program in java and if you want to convert java program in Kotlin then you can easily convert. 5)Kotlin is the third language which is fully supported by Android after Java and C++. 6)Kotlin is a completely open source and free in cost and gives one option to convert java to Kotlin and a strong focus on java binary compatibility. 7)It is intended to improve code readability, gives an easier way to extend Android SDK classes and speed up development. 8) In Kotlin, there is no need to write semicolon “;”, without writing semicolon you can run your app.In C, C++, JAVA, Android without semicolon crash your project. Here, fruit is a variable of type String data type, and the count is a variable of type Int data type. You don’t have to specify the types of variables, Kotlin implicitly does that. The compiler knows this by initializer expression (“Mango” is a String, and 100 is an integer value). This is called type inference in programming. val is an Immutable reference which means the variable declared using val keyword cannot be changed once the value is assigned. It is similar to final variable in Java. var is the Mutable reference which means the variable declared using var keyword can be changed later in the program. It corresponds to regular Java variable. the in which compiler considers long data type.Suffix “L” means it converts in long data types. Arrays in Kotlin are represented using the Array class. You can create an array in Kotlin either using the library function arrayOf() or be using the Array() constructor. Kotlin is a new language with low risk and easy to learn, you stay in the familiar Java ecosystem and you can start using Kotlin alongside with Java. Ionic framework was developed back in 2015 as an customization for Apache Cordova by the Drifty Co. software vendor. Mainly it was introduced for the development of hybrid mobile applications. Hybrid mobile applications are the small websites which are running in browser shell in an app that have access to the native layer. Ionic is focused on building modern web standards and modern devices. Ionic supports for Android 4.1 and up and for iOS 7 and up. Ionic 2 supports Universal Windows Platform. Ionic framework powered by Angular.Js supports BlackBerry 10 apps. React Native is a Java Script framework for writing real, native mobile apps for Android and iOS. React Native is based on Facebook Libraries for building UI. 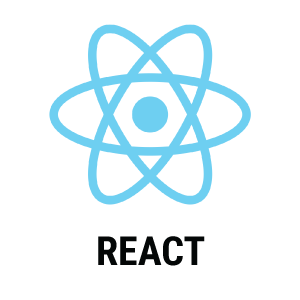 React Native is proudly manage and maintain by a community of expert React Native developers and leading corporations, including Facebook and Instagram. React Native is cross-platform means the same code is use for Android as well as iOS. Unlike Ionic, it is not designed for write once and run everywhere. So you need to change some platform specific code in your program. 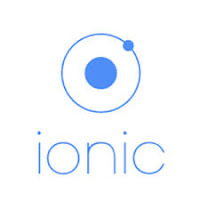 Ionic reuses the code to develop android, iOS, windows phone, web, desktop and progressive web-apps React Native reuses the code to develop android, iOS and windows phone apps. As Ionic is uses web-view the code performance is okay. In the React Native code performance is excellent as there is no web-view. Testing can be done on any browser while using Ionic In React Native testing is done on emulator or real phone device. Apache cordova is used as hardware accessibility in Ionic. React Native itself is capable enough. In Ionic needs to be written only once, but can be executed anywhere. In React Native needs to be learn only once and becomes easy to write on any platform. Ionic use to develop hybrid mobile applications. React Native is use to develop native mobile applications. Ionic is based on Angular 2 backed by google. React Native based on react backed by Facebook. Ionic and React Native both are meant for the same purpose but different project requirement. Between Ionic and React Native which framework is better is depends on many factors like, your project, your user requirements etc. They both do different things, and both do it well. 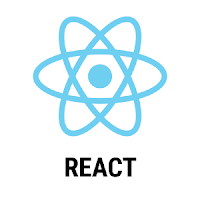 If the developer already has ReactJs then React Native is good choice. And if the developer is familiar with Angular then Ionic may be good choice. Model-view-controller is a software architectural pattern, which divides a given application into three separate parts. It is basically build to avoid mixing code from the three categories into one class. MVC is one of the most frequently used industry-standard web development framework to create scalable and extensible projects. 1.Model: Model is responsible for managing the data of the application, such as the data, logic and the rules of the application. The model does NOT depend on the controller or the view. It responds to the request from the view and it also responds to instructions from the controller to update itself. Model classes can either be created manually or generated from database entities. It is the model that responds to requests coming from the view regarding its status or state. In this way, the processing of data takes place only in the model, which ensures internal data consistency. The view is also used to present the graphical visualization of the user interface. It could filter out some aspects of the model or highlight others. It represents the input and output data in an interface using various elements such as pushbuttons, menus, dialog boxes, etc. To see the status of the application objects, the view queries the model through the controller. 3.Controller: The controller is responsible for all the interactions between the model and view. It also responsible for dispatching requests and controlling application flow. MVC supports rapid and parallel development. If an MVC model is used to develop any particular web application then it is possible that one programmer can work on the view while another can work on the controller to create business logic of the web application. Hence this way, the application developed using MVC model can be completed three times faster than applications that are developed using other development pattern. For any web application, user interface tends to change more frequently than even the business rules of the company. It is obvious that you make frequent changes in your web application like changing colors, fonts, screen layouts, and adding new device support for mobile phones or tablets. Moreover, adding new type of views are very easy in MVC pattern because the Model part does not depend on the views part. Therefore, any changes in the Model will not affect the entire architecture. The framework navigation can be complex because it introduces new layers of abstraction and requires users to adapt to the decomposition criteria of MVC. Knowledge on multiple technologies becomes the norm. Developers using MVC need to be skilled in multiple technologies. Thus, MVC design pattern is a surely the great approach to building software applications. The MVC framework is easy to implement as it offers above given numerous advantages. Projects that are developed with the help of MVC model can be easily developed with lesser expenditure and within less time too. Above all, its power to manage multiple views makes MVC the best architecture pattern for developing web applications. Singleton class which is created in java for global point of view. Singletons are useful to provide a unique source of data or functionality to other Java Objects. In android Singleton class creates only one instance. Purpose to use Singleton class is control to create number of object creation in project and limiting the number of objects. Suppose you made a app to play song through service,In this case you can use singleton class concept.Inwhich media player declare in service as a globally and use media player in any where of app,by using concept of singleton class concept.Means you create object of singleton class in activity inwhich you want to use singleton class value .And use mediaplayer globally you don’t need to create another object of media player. Here is SubCatogry_Pozo is your pozo class of app.And arraylist which is globally declared in singleton class and use this arraylist through singleton class object. And use arraylist through object of Singleton class i.e. value which you want to add in arraylist and here is class inwhich you want to use arraylist of singleton class. The Singleton class maintains a static reference to the singleton instance and returns that reference from the static getInstance() method. It is an open source platform to make hybrid application. Hybrid applications are those who takes single language to make an app and which will run on all types of mobile devices. Some clients prefer to make hybrid application because of cost. And small applications are easy to go with hybrid. First Install Node.js package into machine. After this it will ask for project type like, blank, tab, tutorial etc. Select your option using down and up arrow keys and press Enter. It will again take some time and will create project into that location. Now Check newly created app on browser by running below command. It will open project into mobile interface screen with ios, android and windows. Config.xml : Here if you need any plugin to be install then you can add. Or any hardware setting should be go here. Resources : We need to add all resources inside this folder. Src : Our all functionality will go from this folder. You can find various folders inside it. Check those you will get an idea what it does. Now try to create new views. But to access it you need to import file into “app.component.ts” and “app.module.ts”. After checking those files you will come to know where to change. Now you can edit those view as per your requirement. If you feel this blog is really helpful for you then do comment. Thank you. What Is the Difference between Woo-commerce and Open-cart? Read More What Is the Difference between Woo-commerce and Open-cart?